Everything about life in Italy is celebrated to the fullest. It’ what I loved about living in Rome. A meal wasn’t something you just threw together at midday or in the evening; a meal was an event to be planned, executed, and savored at every turn. A Sunday lunch could literally take up most of the day. 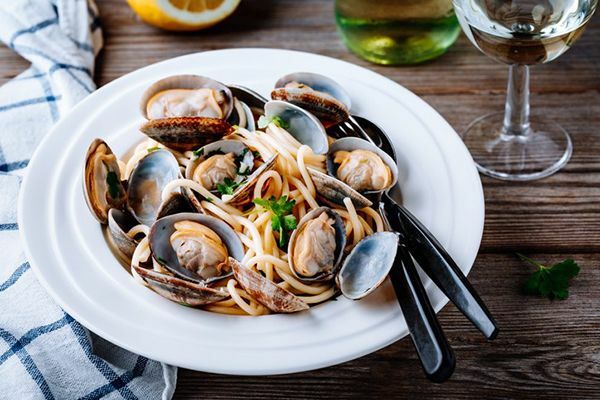 Perhaps you started with a light prosecco to accompany your antipasti, then everyone would take in the aroma of the clams as they simmered in white wine for the linguine alle vongole course. After, it was time for the secondi (second dishes)—and of course there was the homemade tiramisu waiting, followed by coffee and an amaro (after dinner drink). The conversation was rich with cooking techniques (which tomatoes could be used for which sauce, where to find the best seasonal mushrooms), wine selections, and the best places to visit in Italy. It was a feast for the senses and something I had rarely experienced in my fast-paced life in California. With my newfound expat friends, I explored as much of the Eternal City as possible. We did all of the touristy things…the Vatican, the Spanish Steps, Pantheon, and the Trevi fountain—which was enough to fill us with a lifetime of memories. But the city, and Italy, were so much more than those landmarks and passages of history. My weekdays were spent with my students. I traveled around the city to businesses, banks, real estate agencies, tech firms, and mom-and-pop stores. I mainly taught business English and my students represented all walks of Italian life. They were intelligent, witty, cultured, and helped teach me as much about Italian life as I hoped I’d taught them about the U.S. and American culture. My Italian progressed about as fast as their English. A few years into my Italian adventure, a chance encounter with a Frenchman (who became my husband) led me to France. The French aren’t quite as exuberant as the Italians and it takes longer to get to know them, but they are just as passionate about life and living it to the fullest. 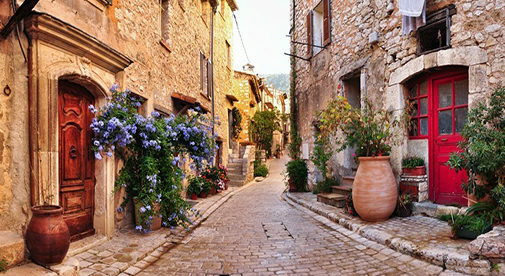 Living in Provence now I couldn’t be better situated to take advantage of the French lifestyle and culture. The appreciation of good food and wine is at the forefront of life here, and we are surrounded by such natural beauty that, even after eight years still takes my breath away. Not only do we have the beaches that the South of France is famous for, but we are surrounded by rolling vineyards (made all the more beautiful with the changing seasons), hilltop villages, river canyons and lakes, and national parks like the sea cliffs (Calanques) of Marseille. Moreover, in all my travels around France—which have spanned both coasts and touched both the south and north of the country—I’ve never found an undesirable corner of the country. The Beaujolais wine region is just as exquisite as Paris is exciting and glamorous. The Christmas markets in Alsace are the stuff dreams are made of, and the Basque country’s gastronomy will leave a mark on your heart (and stomach). The cost-of-living is also very reasonable and things just work really well here. Outside of the occasional hiccup, my life couldn’t be easier and less stressful—which allows me lots of time to enjoy France’s savoir-vivre and indulge in its world-class cuisine.